As a Listing Eagle Member you will receive an email alert in real-time once any listing is Suppressed or Hijacker activity is detected on your Amazon Listing. 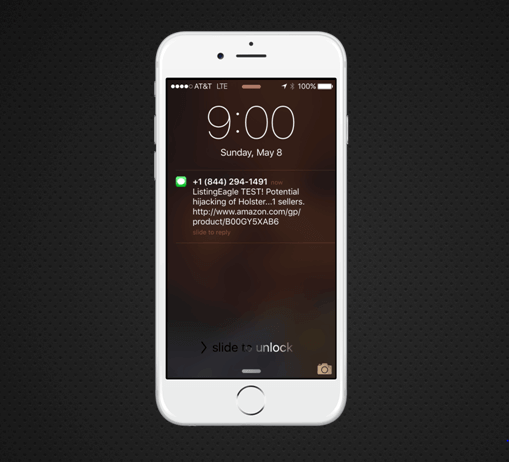 In addition to email alerts, you will also receive 24x7 SMS text message alerts. This service is also available to our International Subscribers who have text capabilities. Get notified about a potential hijacker no matter where you are! Your best chance of success against Hijackers is an immediate and aggressive response and with Listing s immediate notifications you are always ready and armed. Listing Eagle provides template letters for you to send or you can customize your own. No longer will it take days for you to finally stumble onto the fact your listing has been hijacked! Get notified immediately when one of your listings has been suppressed and get it fixed ASAP without losing days of sales/rankings! Monitor your listings on the go... Receive convenient text alerts on your phone (including international SMS text alerts) so that you can take quick action. Instruct hijackers to remove their fraudulent product from your listing or fix your suppressed listing right away! Listing Eagle will create customized communications for you to send to hijackers at the touch of a button. Developing a custom strategy and script to confront hijackers can be confusing and time-consuming! If you prefer to customize and save your own version of the letters ListingEagle can do that! 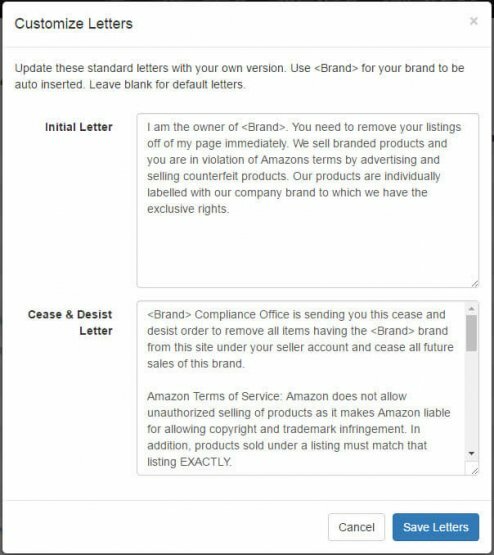 Get notified instantly when any one of your listings have been suppressed by Amazon. Avoid the stomach wrenching pain of realizing your drop in sales have been due to a suppressed listing you didn't know about for days! Getting notified of a suppressed listing instantly allows you to fix the problem and not lose sales or your rank. No third party tool access needed to your sellers account! Loading ASIN’s one by one manually is clunky and time-consuming, but with our bulk loader you will set up your ASIN’s with speed and accuracy. "I’ve been searching for a number of months for a solution to alert me immediately when another seller jumps on my listing as I get hijacked on a regular basis and thus to be notified as soon as possible is invaluable. This is the best (if not only) solution I have found and it does exactly what I need. I had a seller jump on my listing today and was notified immediately and took action, they have now been removed. Brilliant!" - Andrew E.
"The thought of losing my listing to some goober is enough to warrant the low cost of your service." 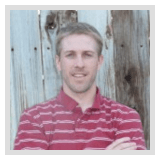 - Tim R.
Let Listing Eagle Monitor Your Listings and Notify You As Soon As Your Listings' Get Hijacked or Suppressed! 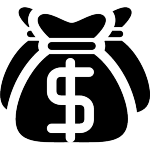 Billed monthly, no set up fee or contracts. 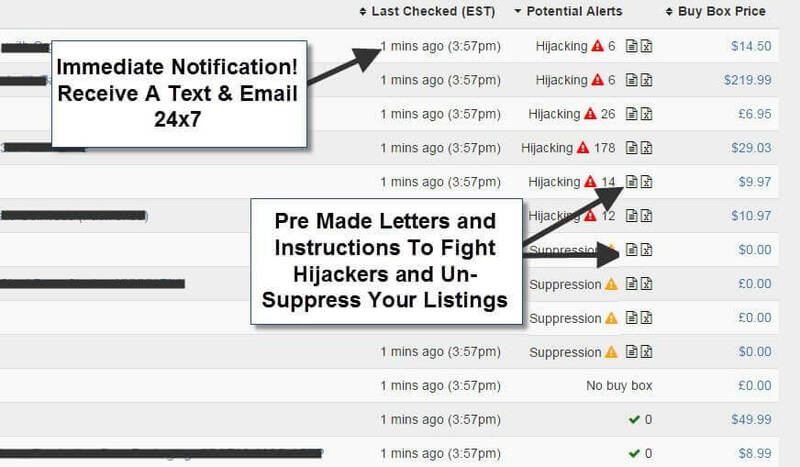 Receive Text and Email Alerts 24x7 When Your Listings Get Hijacked or Suppressed! If you are not happy with Listing Eagle monitoring and protecting your listings we have a 60 day money back guarantee! We are confident that Listing Eagle will help defend your business from hijackers and lost sales!